The industry is embracing change. Digital technology is disrupting the manufacturing sector, but it seems as it is not afraid of it. As a matter of fact, the manufacturing industry seems to be embracing new technology and is excited to see what the future holds. This is according to a new report by Fujitsu, entitled Fit for Digital, which takes a closer look at the UK’s manufacturing sector. Nine in ten (90) of those polled for the report said the manufacturing sector has already been digitally disrupted, and even more (95 per cent) expect it to be disrupted even more in the future. For 90 per cent of the polled, digital technologies will ‘fundamentally’ change their industry by 2021. 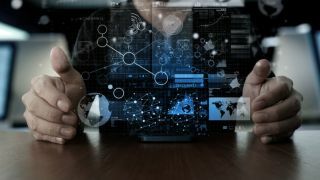 Almost half (47 per cent) believe that the CIO is driving their response to the challenge of digital disruption, unlike retail, financial services and the public sector, all of which point their fingers at the CEO, or at least a combined leadership. More than four fifths (82 per cent) of business executives see this as an exciting time, full of opportunities. Eighty-six per cent says their organisation should innovate faster if they are to stay relevant in the market. “For manufacturers, digital disruption is as much about the transformation of business processes as it is business models and revenue streams,” said Graeme Wright, CTO for Manufacturing, Utilities, and Services, UK and Ireland at Fujitsu.